Richard and Nick Crane used Saracen MTBs to "climb" Kilimanjaro in 1984. 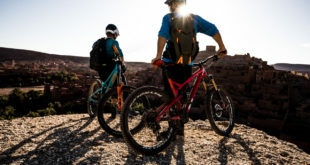 Stanforth Bikes releases Kibo MTB as commemoration. 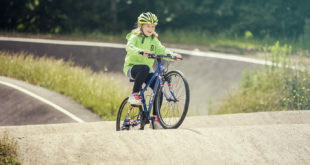 Simon Stanforth, son of Paul Stanforth, has entered the bicycle business with a boutique bike brand called Stanforth Bikes. The firm’s first bike is the hand-made Kibo, celebrating the 1984 ascent of Kilimanjaro by cousins Richard and Nick Crane. Kibo is the name for the peak of Kenya’s Mount Kilimanjaro. The Crane cousins used Saracen mountain bikes on their ascent of the mountain in 1984. Paul and Rick Stanforth acquired the Saracen brand shortly afterwards and benefitted from the worldwide publicity generated by the Kilimanjaro ascent. The Stanforth brothers sold nearly one million mountain bikes while they owned the company. It was later sold to Madison. Paul and Rick now sell the Ebco brand of e-bike. Stanforth Bikes is run by Simon Stanforth who said the creation of the brand was the "result of a lifelong passion." The Deore-equipped Kibo is built by frame-builder Lee Copper from Reynolds 631 steel tubing. It has frame bosses for three bottle cages and front and rear pannier racks. 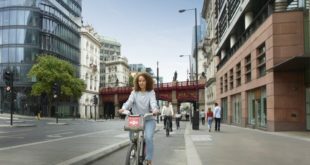 Next Electric bikes: What is the state of the nation?